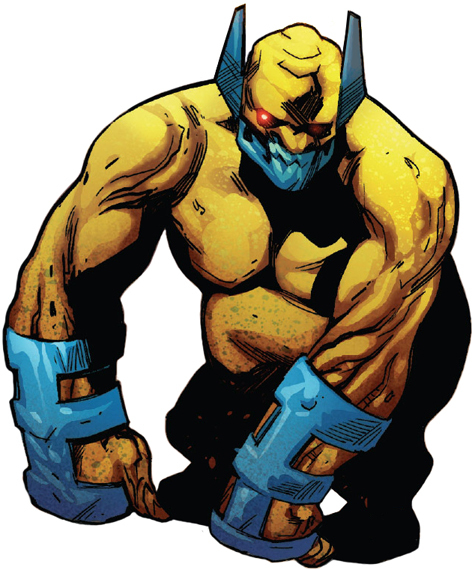 Enhanced Abilities: Monster's of Badoon have upper level superhuman strength, durability and endurance. Gauntlets: Monster's of Badoon possesses large metallic gauntlets which can emit massive amounts of energy via ray blasts. Jaws: Monster's of Badoon have huge metallic jaws, which can be used for biting. The Monster's of Badoon are the greatest weapon of the Brotherhood of the Badoon. The creatures are cyborg's that act as shock troops and heavy infantry.